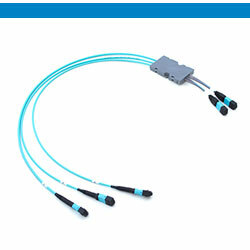 MTP CXP/CFP Loopback is used for testing the CXP/CFP transceiver ports by creating a loop of signal from transceiver to receiver within one MPO/MTP plug it forms optical link which allows testing of optical network segment by segment. 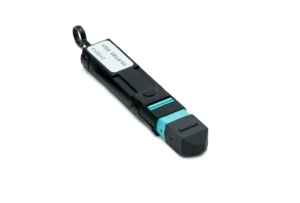 It provides an cost effective way to evaluate CXP/CFP ports during R&D validation, product diagnostic and testing or field testing of device burn-in. 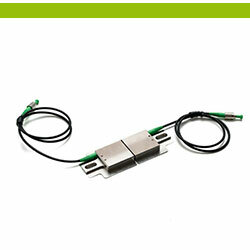 MTP QSFP Loopback is used for testing QSFP/QSFP+ transceiver ports by creating a loop of signal from transceiver to receiver within one MPO/MTP plug it forms optical link which allows testing of optical network segment by segment. 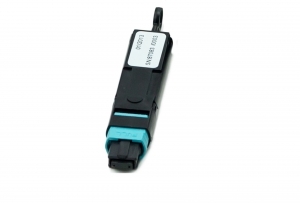 It provides an cost effective way to evaluate QSFP/QSFP+ ports during R&D validation, product diagnostic and testing or field testing of device burn-in.